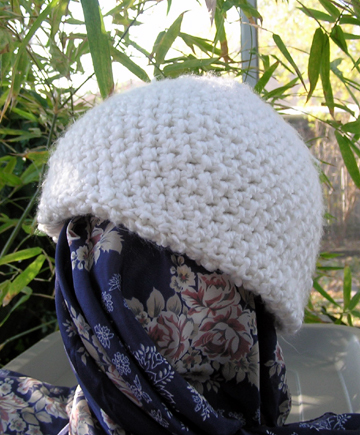 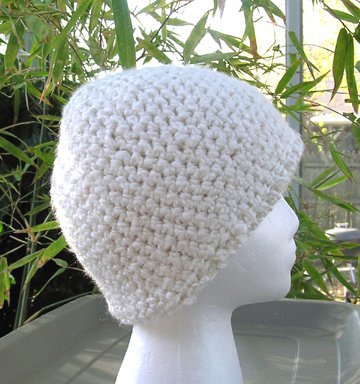 The Snow White is a skull cap style hat crocheted with a soft textured yarn in snow white. 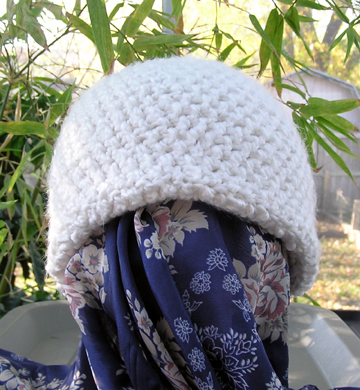 98% acrylic 2% polyester. 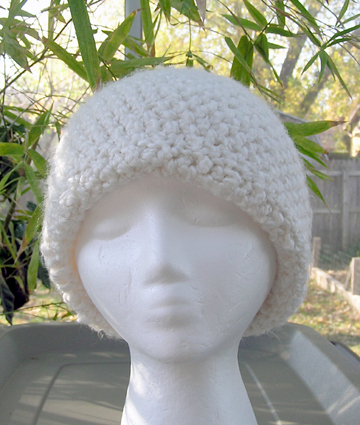 A double layer hat for extra warmth.